You are here: Home / Ambassadors / Run/Walk 2018 Celebrates Raising over $32,000! Run/Walk 2018 Celebrates Raising over $32,000! On Wednesday, May 9th, members of the Run/Walk organizing committee and University Hospital Kingston Foundation representatives joined Run/Walk founder Marvin Switzer and 2018 Run Ambassador ‘Bo’ to officially celebrate and present the cheque announcing $32,000 raised at this year’s event. 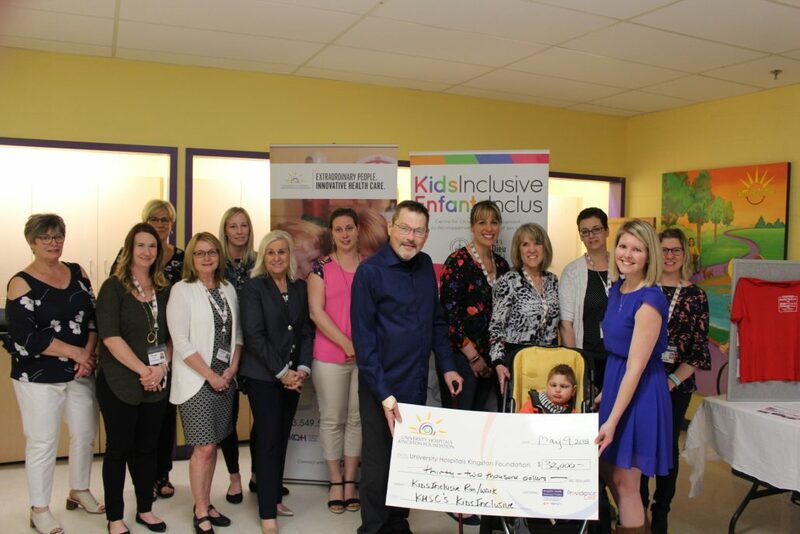 http://kidsinclusive.ca/wp-content/uploads/2016/09/KidsInclusive-EnfantsInclus.png 0 0 Marianne McLure http://kidsinclusive.ca/wp-content/uploads/2016/09/KidsInclusive-EnfantsInclus.png Marianne McLure2018-05-11 19:30:392018-05-11 19:33:51Run/Walk 2018 Celebrates Raising over $32,000! Run/Walk for KidsInclusive raises over $32,000! Run/Walk for KidsInclusive – Check out our new Event Video!